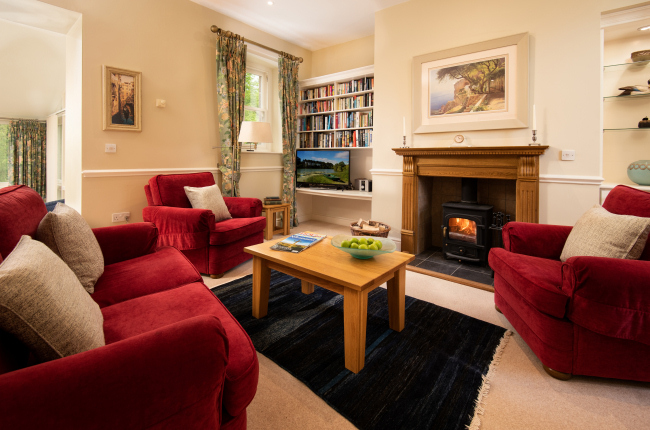 Wellwood is a luxury self-catering holiday cottage superbly located on Doxford Estate in Northumberland, near Alnwick, Bamburgh, Craster and Seahouses. 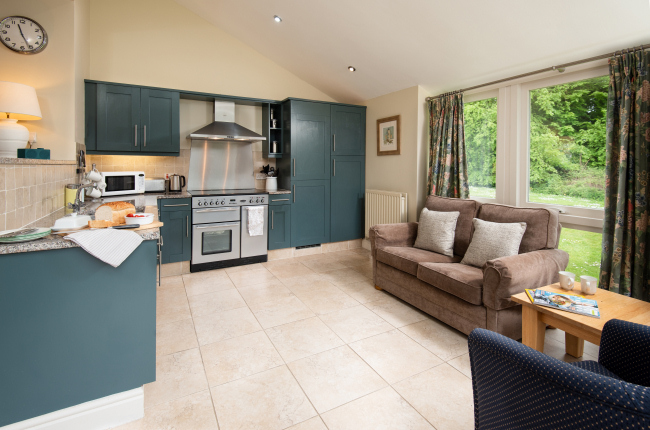 This lovely cottage is the perfect base for a couple with children or two couples requiring self-catering holiday accommodation with space and quality. 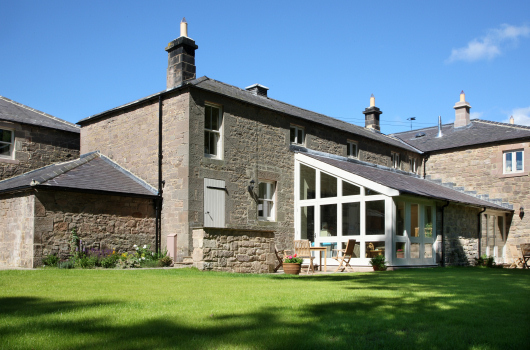 Light floods into the house through its massive windows, making this a very special cottage in which to enjoy coastal and rural Northumberland. 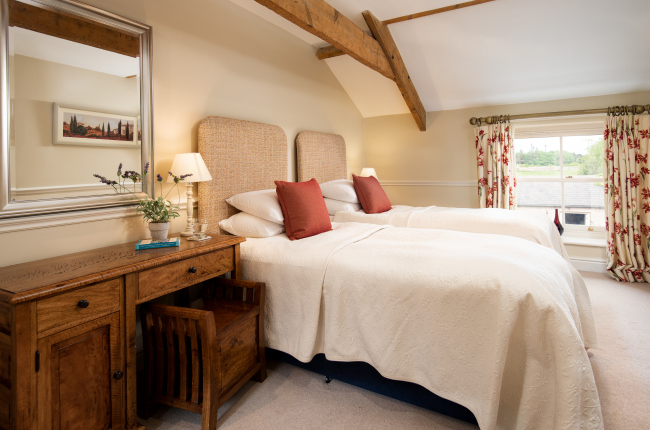 Wellwood Cottage is accessed via an entrance hall. 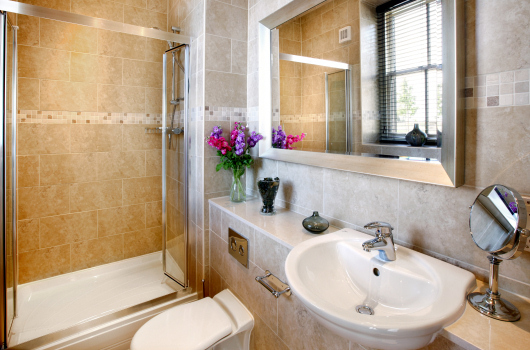 Off the entrance hall is a large shower room. 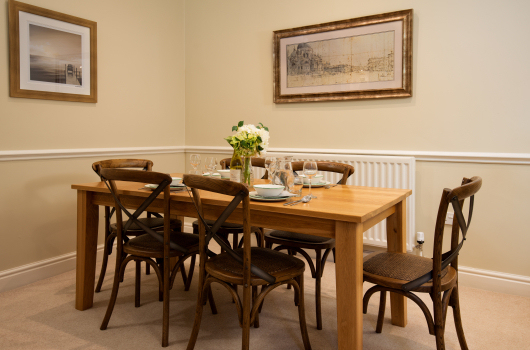 The very spacious sitting / dining room, complete with a log fire, is light and airy and well finished with super fabrics, pictures and prints. 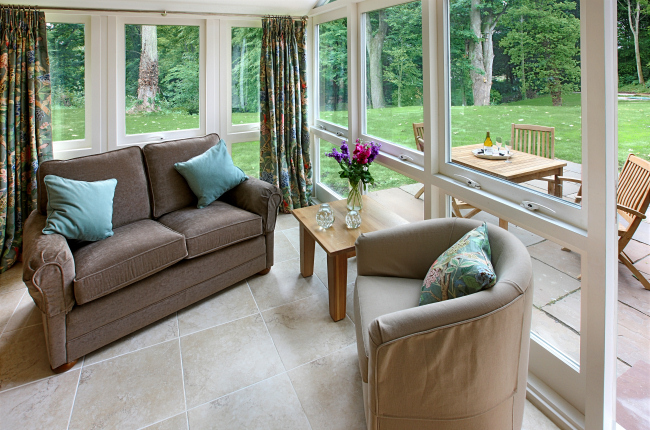 The kitchen has two fully-glazed walls and opens out on to a private terrace with extensive lake and woodland views. 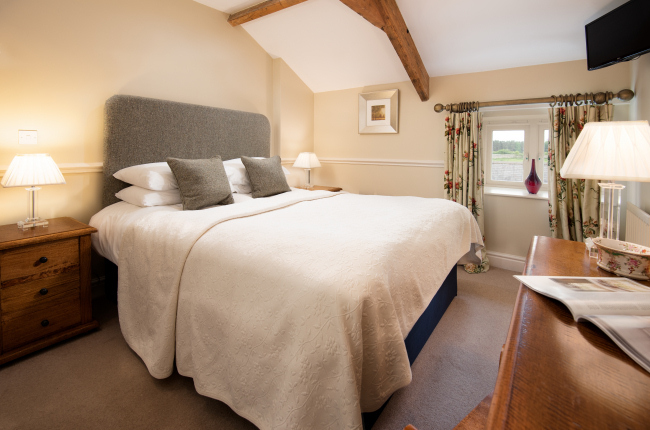 Upstairs, there is one double bedroom with a king-size bed and one twin bedroom with zip-link beds that can be made up as a king-size double if preferred (if this cottage is let to a couple, the beds will be made up as singles by default, so please ask if you prefer the double option). 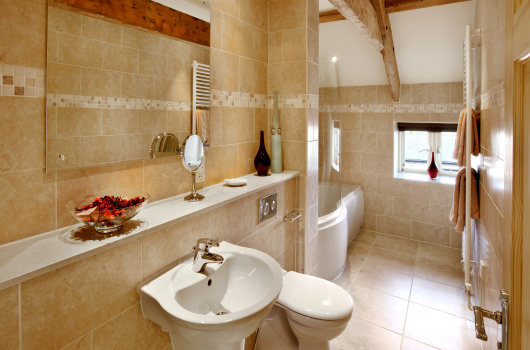 The family bathroom has a bath, power shower, wc and wash basin.